Less than 10 days until Christmas. Is your shopping done? No? Are you still looking for that perfect gift for yourself the active woman in your life? 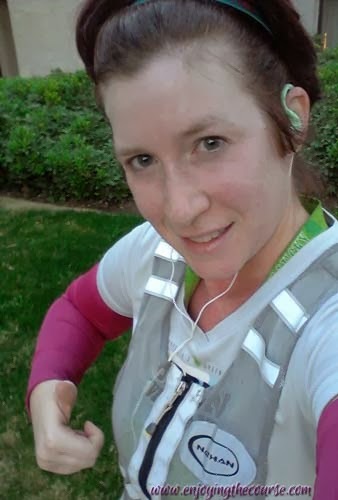 I recently had the opportunity to try out the new Koss FitSeries headphones as a FitFluential ambassador. 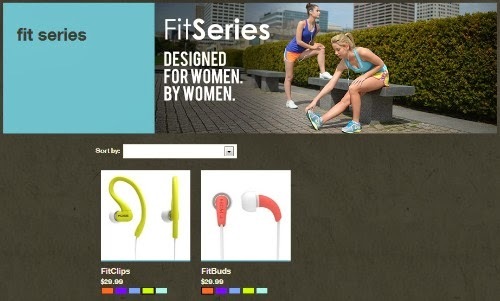 They come in two styles - FitBuds and FitClips. Personally, I preferred the FitClips. They fit easily around my ear, and I barely noticed them during my 5-mile run. I meant to try them out during my marathon, but ended up not listening to any music with headphones. 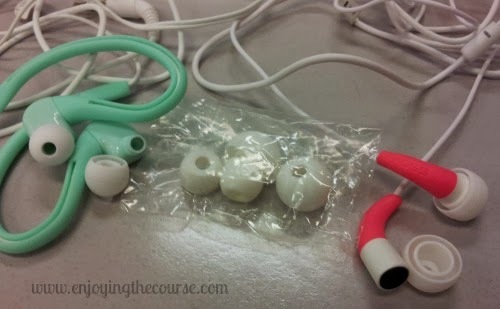 Unfortunately, I had some difficulty with the FitBuds. The left one always seemed to pop-out. Could have been user error. I'm not really much of a headphone aficionado. I usually just use whatever comes with my phone. :-) That said, I really thought the sound quality was good. I didn't have to turn the volume up nearly as high as with my other ear buds. Score! Both styles of headphones come with 3 different sizes of cushioning, so you can customize the fit to your ear. They're designed by women, specifically for women. The FitBuds are 33% smaller than other Koss earbuds. They're sweat resistant and come in a variety of colors. But the best part is that they are totally affordable! Normally $29.99, they're on sale at several retailers like Walmart, Best Buy, Walgreens, Kmart and Sears for $19.99. Or less!! I agree! The FitClips are my favorite too! Oh, I love that they are sweat proof! Genius. Great review! These look like awesome headphones! Pretty + Functional = Awesome. Indeed. I love how pretty the headphones are! I am so particular about headphones! I have such a hard time finding ones that stay put!! 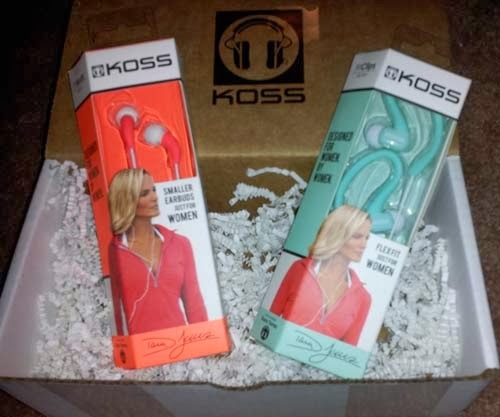 I've been hearing such good things about these Koss headphones - I have to check them out! You should definitely give 'em a try. I love that they come with the different size cushion to better fit your ear. Of course, I'd recommend the FitClips, but lots of people really liked the buds, too.